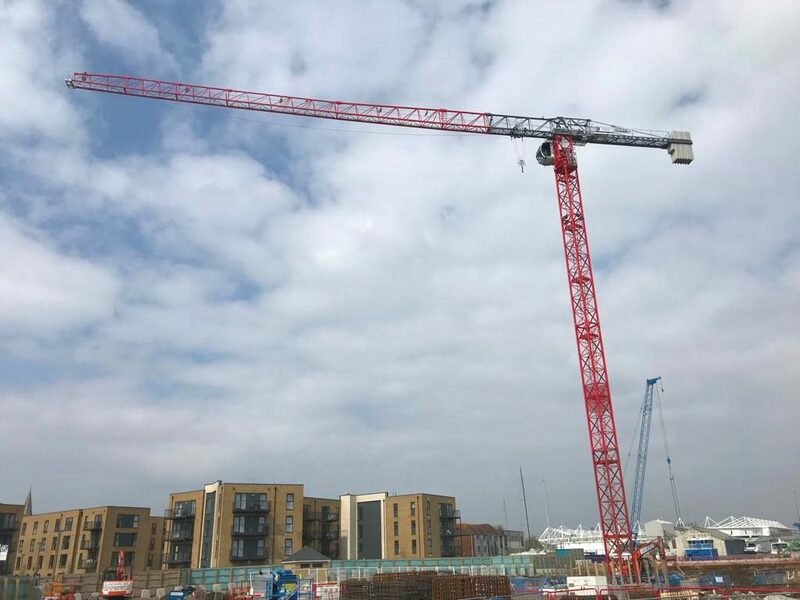 The Mantis Cranes service team recently erected a Tower Crane on a new Waterside Development in Southampton. This specific project will include the development of 3 Apartment blocks and the associated landscaping and parking. The building will be 10 stories high and include 255 flats in total. The hire period of the crane is to be at least 44 weeks. Our engineers and surveyors worked with the customer to find the most suitable crane for the project. The Saez TLS65B 10T was the Tower Crane chosen for this particular development. This tower crane was configured with a jib length of 50m and and a tower height of 35.4m. Its maximum lifting capacity is 10,000kg from the tower out to 19.2m and 1250kg at the end of the jib. For any enquires contact us on 01388 748962 or email us at info@mantiscranes.co.uk.